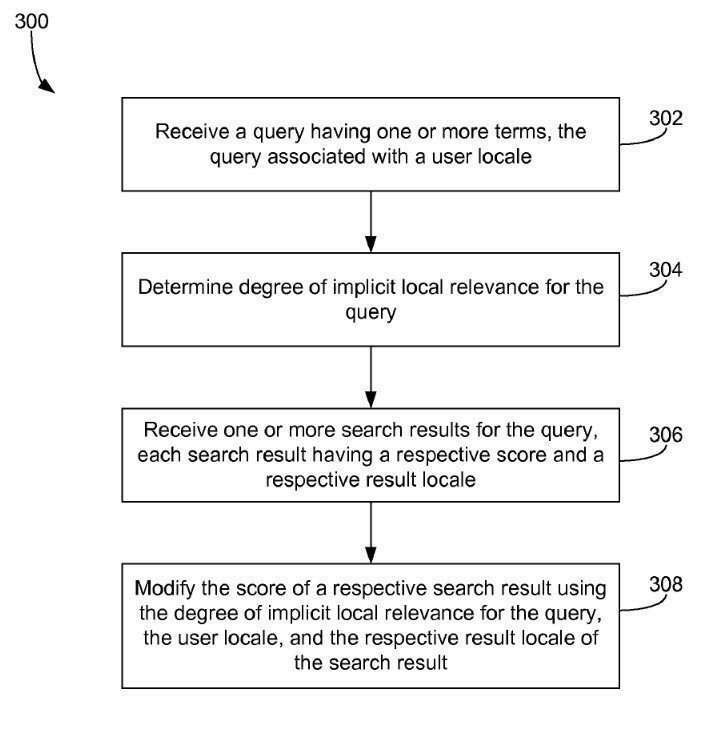 The second patent was one I wrote about in the post How Google May Identify Implicitly Local Queries, which told us that Google might start showing additional web search results in response to queries, when they had some kind of local significance. I noticed Google doing this for a client in Florida, and on searches in the two counties where the client operated, a link to the site was showing up at number 4 in the search results for a very relevant and broad query. The patent that this post was about was Identification of implicitly local queries. 9. The method of claim 1, wherein selecting a final set of search results responsive to the search query comprises selecting, for inclusion in the final search results, local search results that have at least a minimum threshold click-through-rate when presented in response to the local search query. It can help you to perform searches that may appear to be local to a place to see if it is showing up in search results as a locally significant page. One of my co-workers, Dan Hinckley, wrote a post today on the Go Fish Digital blog about how you can use the Emulator built into Google Chrome to do so, in the post How to Change Your Location for Local Search Results â€“ The Always Up-To-Date Guide. Try it out, but be careful. I was being blocked by a Chrome Extension from using the Emulator built into Chrome. 21. The system of claim 18, further comprising: a model generation system to generate a model that determines a score associated with a likelihood that a particular user desires information from a repository when the user provides a particular search query. 22. The system of claim 21, wherein the model is a lookup table and the score corresponds to a click-through rate associated with a repository when the user provides the particular search query. 23. The system of claim 21, wherein when determining a score for each of a plurality of repositories, the search engine system is configured to: determine a score for each of the repositories based on the model. 24. 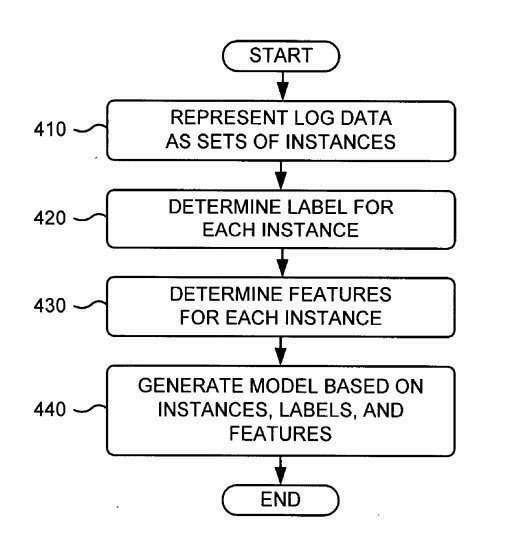 The system of claim 21, wherein when generating a model, the model generation system is configured to: store log data associated with a plurality of prior searches, and use the log data to train the model. 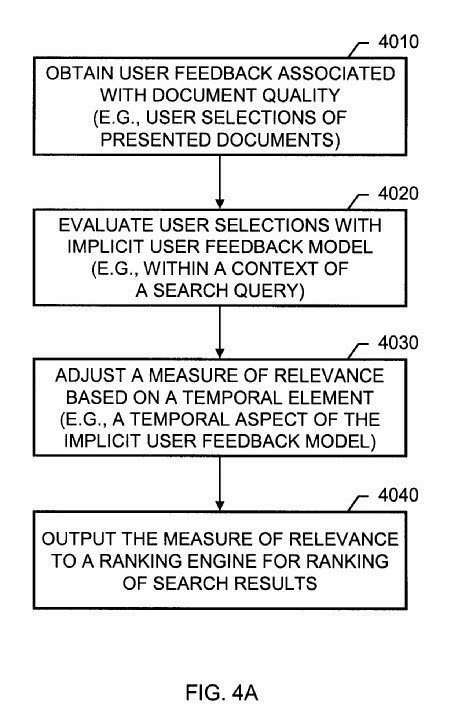 Google does have some patents that illustrate how they might use search click-throughs upon specific searches to determine what results they might display in search results, and where those might be ranked. Do click-throughs determine whether certain pages appear in search results? We can’t be certain, but it appears like a possibility. I think they do not use this data solely : They combined it with consultation time, bounce rate and next clicks (To the next search result?) to compute a user’s satisfaction rate regarding a page for a given query. I think they click-throughs matter. We have launched several campaigns and we got clicks from Facebook Ads. After a few hours, we just noticed that blogpost went to the top 3 spot on our main keyword. I’m sure that clicks actually help and Google has a way to check if these clicks are legit or not. I think for newbies it will definitely help. Your post is very informative. Hopefully You will keep updating new Post Regularly. It’s difficult to say, from our view, of how much clicks upon search results might help with rankings. With the local results I mentioned in the post, those seem to look like they would keep appearing as locally significant search results as long as people keep on selecting them from search results. The same with one box results – as long as people keep on clicking upon those, the longer they will show as a one box result, which is what the one box patent seems to indicate. If the people doing that clicking are logged into their Google Accounts when they click upon those results, that’s one way to tell that the clicks weren’t performed by robots. Thank you. Good to hear that you thought my post was helpful. Hi Bill, I agree with you. It may be possible that they also consider the IP address, device, and other data when determining if the click throughs will help or not. I see earlier this year that someone known in the industry (forgot the exact person who did) tried using mechanical turk and other similar service to drive traffic to a blogpost and it helped the blog post rank. I’ll try to find the link to that case study, I bookmarked it on my other pc. Curious about the value of a click-thru for ranking purposes. It’s widely known that Meta Description is not a ranking factor and really, that’s what entices folks to click a link in the SERPs, resulting in click-thru. The catch, if there is one, is that Meta Description is entirely manipulative in nature – it’s intent is to get a click. So if Meta Desc. doesn’t affect ranking, why would click-thru? I can easily see the other metrics coming into play once the user is on the site (bounce rate, dwell time, pages visited, etc, etc) but I don’t see how CTR is a reliable factor for ranking. Thank you for the question. The purpose of a snippet on search results pages is to give searchers a glimpse of what is contained on a page. Snippets are often (but not always) taken from meta descriptions that are on pages, especially if those contain the query term that someone used to find the page through the search engine. The content of a meta description doesn’t help a page rank higher for the terms contained within it, but it may influence viewers to click through the search result to the page listed in those results. That has nothing to do with whether or not searchers selecting a particular page in response to a query (which a search engine can easily track) could be used by the search engine to influence the rankings of that page, in response to a query. If Google see’s searchers continuing to select the same page over and over in response to a query, it might decide that page is a good choice for those query terms. That is what the three patents I pointed to in this post seem to be saying about the selections of specific pages – that the act of searchers selecting those pages appears to be a reliable factor for them to continue being a high ranking result for the query they were found with. Thanks. First, I admire you for arranging past details as you tried to predict something valuable which can be seen in the future. I personally feel that click through rate should be taken care as a ranking single however, there isn’t any proof of this statement after fraud clicks found. CTR shouldn’t be used for anything… with Google’s Knowledge Graph, Map Listings & Ads in SERP, they’re encouraging the user to NOT click through to your website’s organic result. This is even more apparent with Google testing 4 ads above the fold instead of 3. Add into that competitors trying to negatively influence your rankings by bouncing, not clicking through, clicking on your paid ads, etc and you can see the slippery slope this could lead down towards further manipulation of Google results. Just say no to CTR as a ranking factor. I worked with a client in the past that was convinced this had an impact. So much so that he set up a farm of raspberry PI’s using separate phone numbers to attempt to manipulate the results in this way. Unfortunately we no longer work together so I did not get to see the results, however it looked like an interesting experiment! I appreciate with you. It may be possible that they also consider the IP address, device, and other data when determining if the click throughs will help or not. Thank you so much for this detailed and extremely helpful article. At the end of the day, we think the jury is still out regarding whether CTR is a ranking factor. From our experience, it doesn’t seem to be – but you never know. From all of us at More Clicks More Clients, thank you and keep up the great work! I think the CTR is definitely a factor but to what extent and how it’s being used are the big questions for me. Shooting from the hip I would lean towards the idea that CTR is being combined with other data but as always with Google, we’re all playing the educated guessing game. We’re testing CTR’s right now on two different websites and from the looks of it there does seem to be an influence developing. Time will tell I guess… great post! Thank you. I agree that chances are Google will look for signals that reinforce each other, but it is true that we are making educated guesses. I do think it’s worth considering how user data information might be used by Google, if at all. And I do think they do try to consider its use. Thanks. I suspect that Google might look at information such as you state, and also whether or not a person is logged into Google when considering those click throughs. That does sound like an interesting experiment. I suspect that some search engineers at Google are dedicated task-wise towards trying to identify and squash some types of manipulation – I suspect that there are many people who try to abuse Google search results. Google could use clicks upon Knowledge graph, Map listings and Ads, to determine if it should keep on showing those in response to certain queries. If people click upon those when shown, it might be a good idea to keep on showing them. It seems less of an encouragement to get people not to click than it does a reaching out to see if they will click on these nonorganic results. Google may be trying to understand better when fraud clicks happen. For example, they might only pay attention to clicks from logged in users whom they have more faith in, that they aren’t bots. I am a few months ago (long months) out of the SEO world, but I have some consideration to make, relate my own experience. On the local influence, I do not know if I understand correctly, I will study the respect and try to implement a differential on my website (even if it is not a “local business”, since it works only with information). Ps . : sorry for the English, I am Brazilian and I’m using automatic translator. You’re welcome. 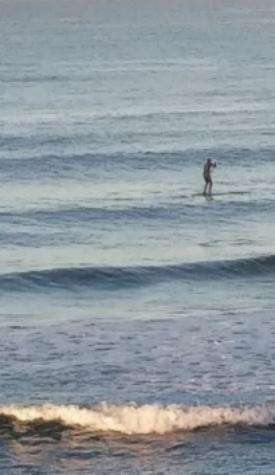 Not quite sure what you are attempting to do. I hope you have some success; the one box approach I described supposedly works with a wider range of results than just local results. Good luck. Trying again. Thanks very much for the great articles and the research that goes into them. My opinion is that CTR has to form a part of the algorithm along with many other factors of course. Good to see you. Thank you! I agree; it’s likely a mix of signals that include click-throughs, and help to reinforce each other. Studying how different aspects of how these algorithms work helps begin the process of learning about them and understanding them. Great info here Bill. Using click through would make a lot of sense to be honest, although I guess it would be helping big brands more than smaller, less known websites. Thanks Bill. Great post as always. I definitely think Google would like to use this data when determining rankings. Whether or not it is in use now is debatable but I think they are probably working towards it. CTR definitely matters for ranking i have found with my own tests. This is the reason tools such as crowdsearch and PandaBot exist to mimic this effect. Bill, this is crazy regarding how Google keeps changing rankings through local and global search results. I think something that’s more important in rankings (and what I have experience from my own results) is a website that has both a good CTR and reduced bounce rate. Thanks again Bill! Great informative article for me as a newbie. I don’t know much about seo, Nowadays continually reading related articles to rank my site good. Thanks for posting knowledgeable articles. Google shows us the importance of paying attention to what their visitors are up to, and what they are interested in. As Website owners, I think we can learn from that. You’re welcome. Happy to read that you enjoyed this post. There’s always something new to learn, and that is part of the challenge and part of the fun of SEO. Search and Click has become an important ranking factor from what I can see. Recently we hired a great copywriter and changed the meta description of 11 websites. The click through rate improved by about 8% and as a result, we got a bump in the serps on ALL these websites. So google is rewarding CTR. And it all makes sense doesn’t it. Users should have the ability to influence rankings because they are the ones who tell google what is relevant, what is interesting and current, and what is rubbish (bounce rate). It would make sense that the more a page is clicked by users, the more it would be shown. I have seen Google Webmaster Tools from highly trafficked websites that have a CTR as high as 15% for the entire website. They also have some pages that have a CTR of 80% or more. click throughs and bounce rate 100% matter, because google can determine from those numbers if the content on that site was relevant to the user who made the search query. Bounce rate is difficult to read too much into, because we don’t know if a visitor to a page found useful information on the page, such as a phone number to use to call the business that they website belongs to. Thanks for your kind words about my blog. CTR in SERPs must effect rankings but not on its own merits. If a website has high CTR but searchers go back to Google to click on other results that must be a negative signal. I’ve never seen evidence to support the theory that higher click through rates can help rankings, but many people I know claim to have tested it and they say yes! I’m focused primarily on link building, as nothing seems to impact search engine rankings as much. Some interesting stuff coming out from Google recently. I try to keep up with it all. Thanks Bill for this helpful article, Even i analyzed the same that CTR actually matters alot. Without a doubt Bill. I have had a site ranked #1 with 0 SEO. Sounds crazy, but all I had was a huge click through rate. I confirmed this as the ranking factor the moment the context of the page changed and thus the original audience clicking through to the site evaporated… And the #1 spot. Great post as always! CTR is 100% one (of the many) factors that influence which sites will show up in the SERPs. Thanks for ‘decoding’ this patent and communicating about it on your blog. You must have a phenomenal mind and drive for exploring – I’m amazed at how much content there is on your site. Thank you. I’m just very curious, want to learn, and know that I learn best by being able to put something into language that others might be able to understand. Previous Previous post: Will Google Start Reading Text in Images on the Web Soon?